Hi Brickset Users, I am a blind Lego fan. 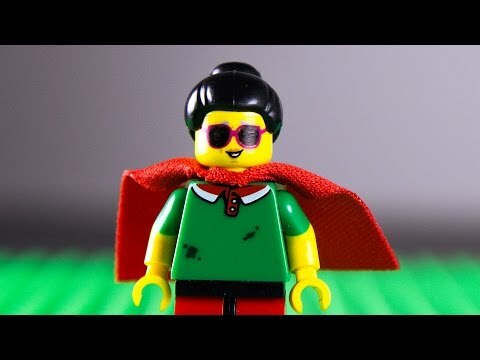 My sighted friend and I invented a system that enables blind people to build Lego sets independently! You can see it in action at and you can find our accessible text-based instructions at legofortheblind.com! Thanks! I must say that I really enjoyed the documentary and it's a really great idea! I really enjoyed the documentary! I think it's amazing that everyone can experience lego no matter what their situation is. This is awesome; thanks for posting! Thanks so much to everyone for watching! Thank you for posting, it's really something. I'm also very impressed with the woman (I forget her name) that comes up with all the text. It's great to hear about this and I'm glad the internet gives you a chance to share it with other people. Good luck with it and enjoy the building! One extra question: what do you do with colours, does somebody pre-sort them? My class just read about them in Time for Kids! Snowhitie, Thanks so much for watching! Lilya pre-sorts the colors for me to make the building process faster.